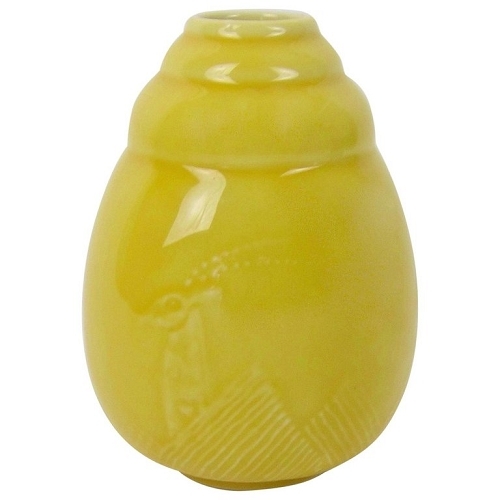 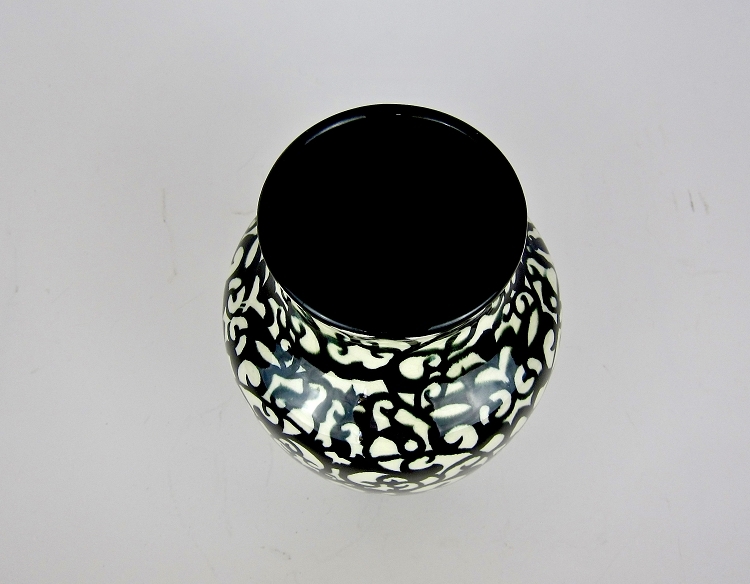 A large and stylish Art Deco vase of glazed earthenware designed by Walther Stock (active 1910-1925) for Velten Vordamm (1913/14-1931) of Germany dating to the 1920s. 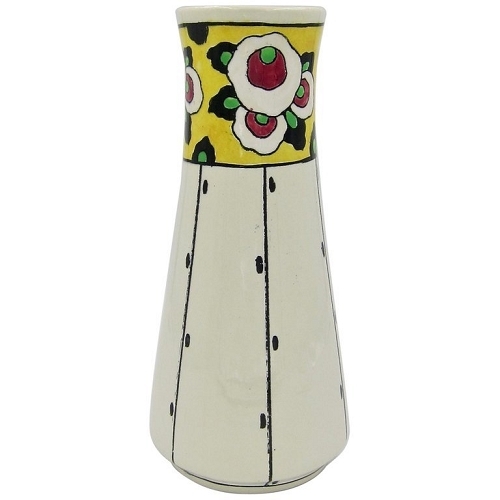 Several similar Bauhaus era hand-decorated Stock designs for Velten Vordamm are included in the collection of the Smithsonian's Cooper Hewitt Design Museum. 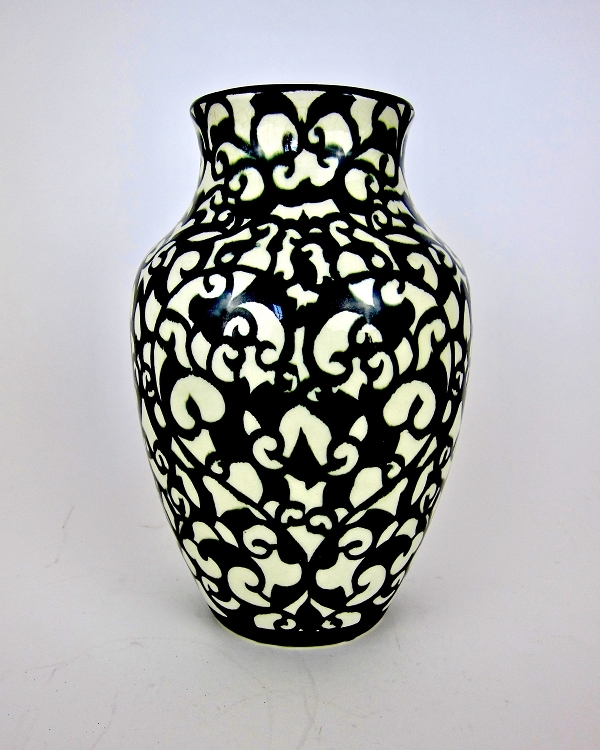 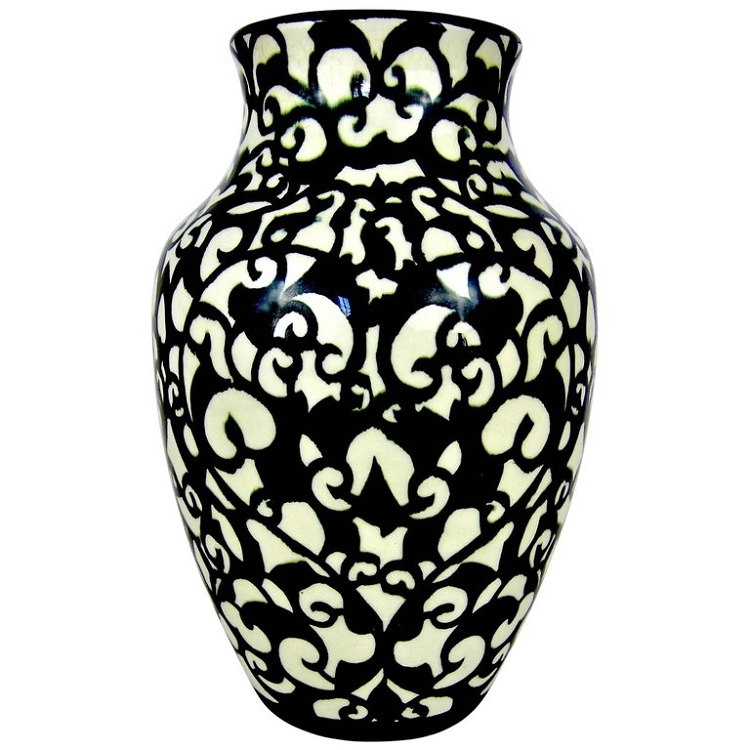 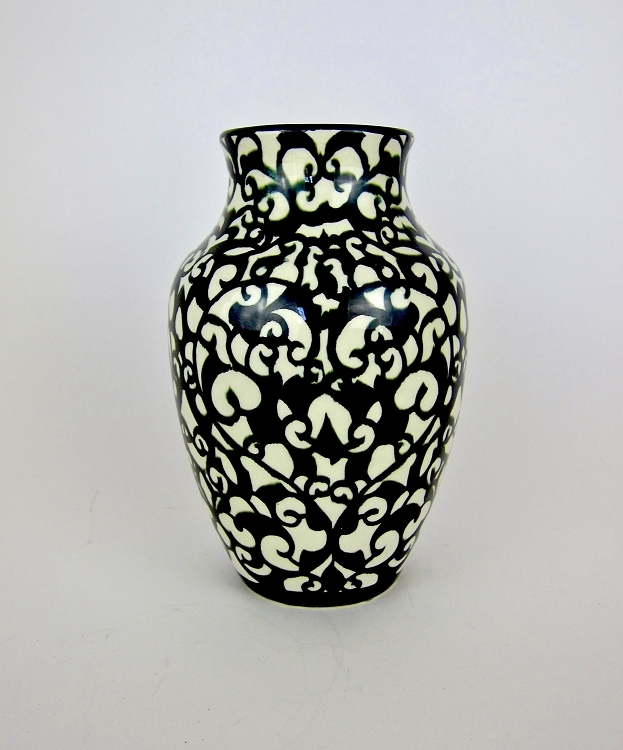 The vintage vase is enveloped in a high-gloss glaze with an overall hand-painted pattern of black over a pale ivory white ground. 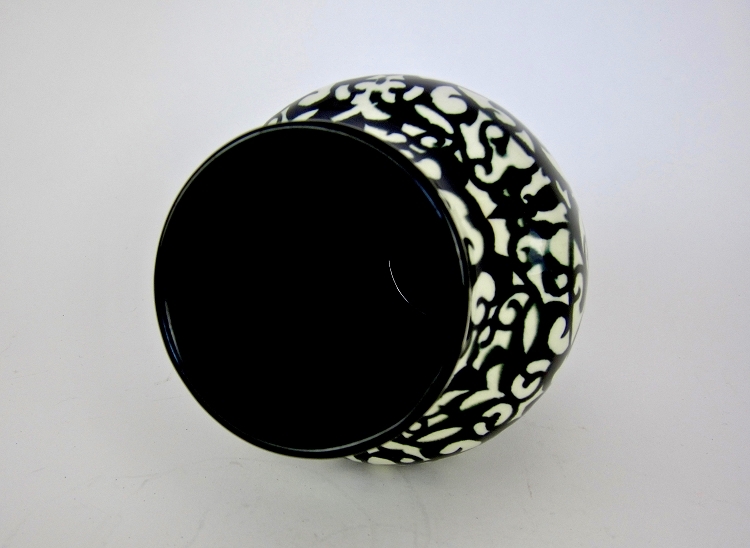 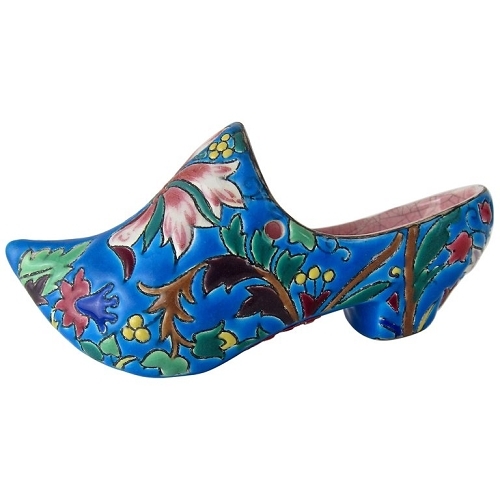 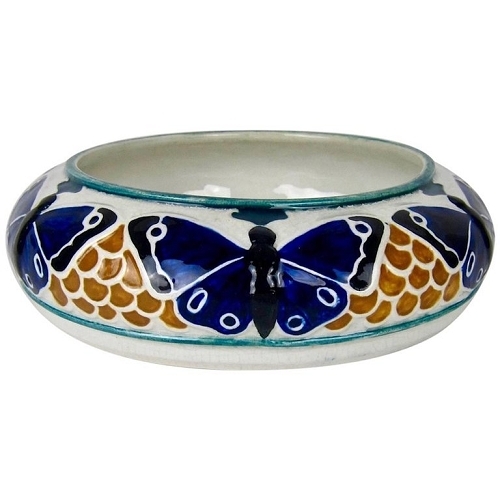 The vessel has a black band around the foot; the rim, interior and base are also glazed in glossy black. 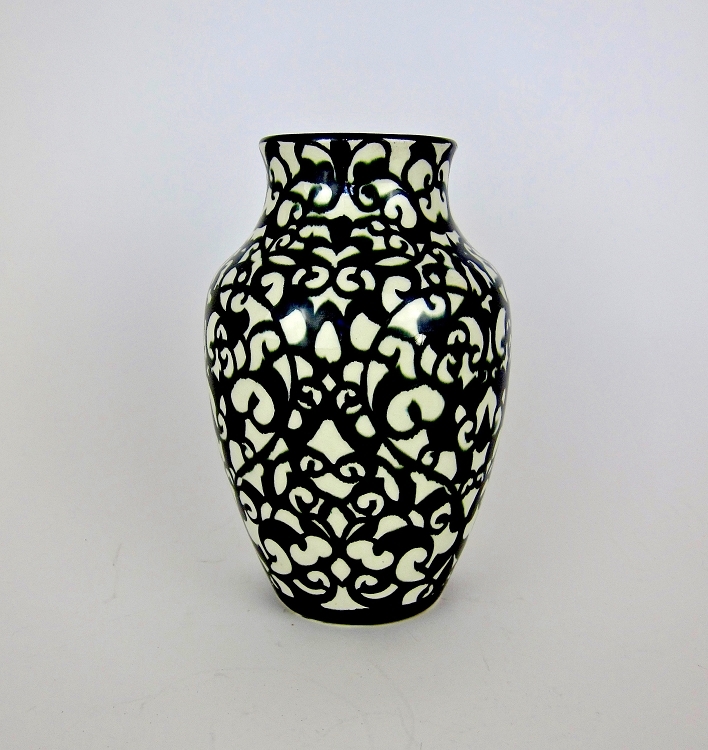 The vase measures 8.75 in. 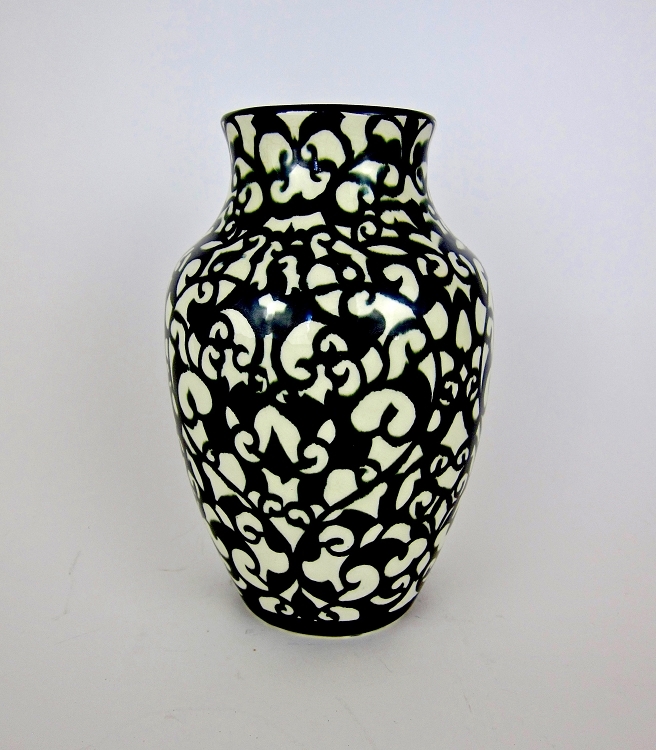 H x 5.5 in. 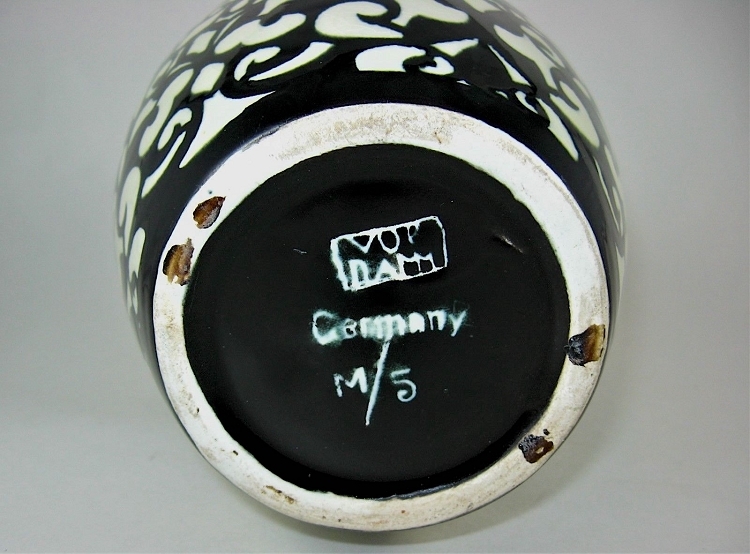 diameter (at widest) and is clearly marked Vordam / Germany / M/5 on base. 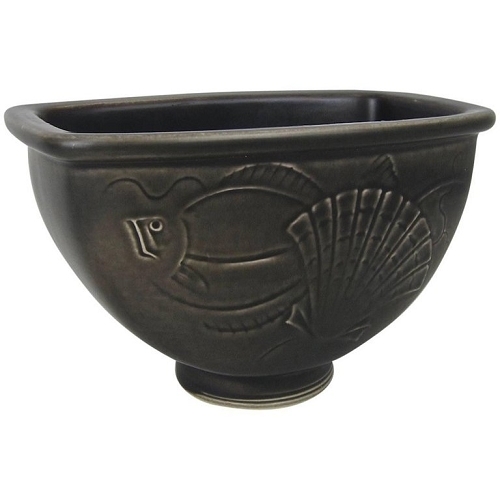 The vessel is in very good condition with age-appropriate crazing.